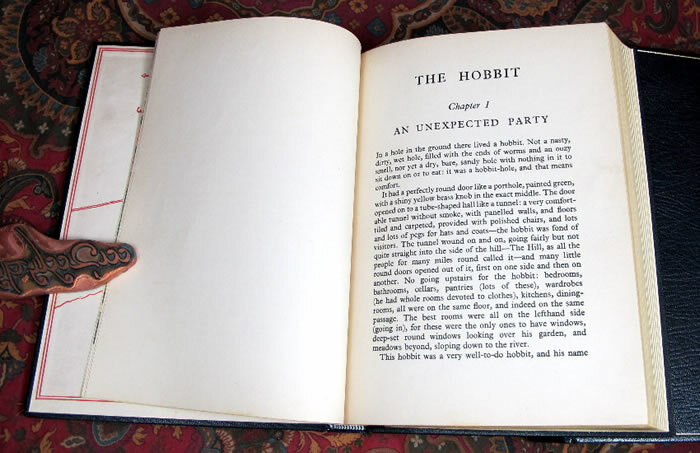 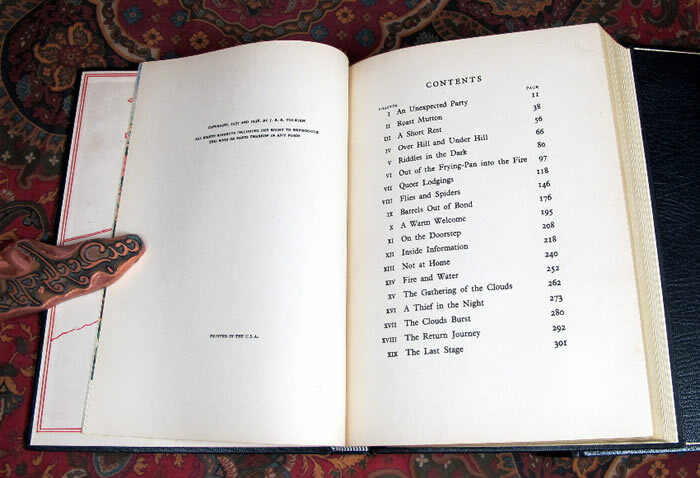 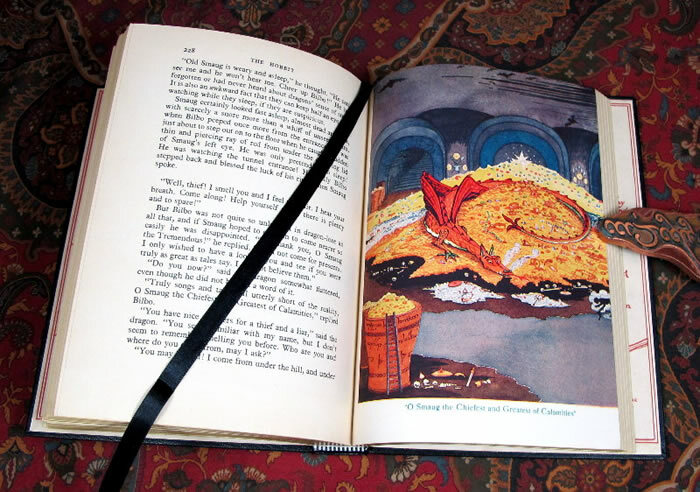 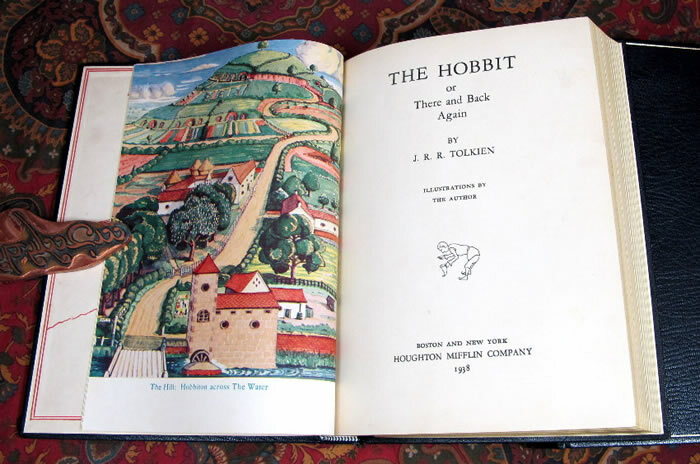 Published in 1938 by Houghton Mifflin, the true 1st American Edition, 1st Impression, 1st State, with Bowing Hobbit on the title page. 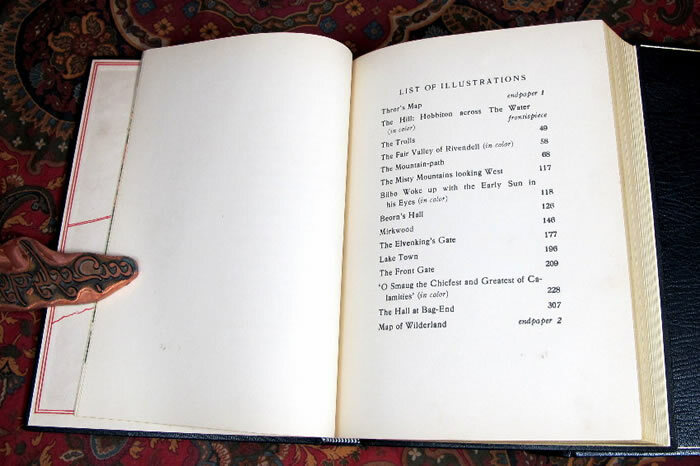 No names or writing in the book. 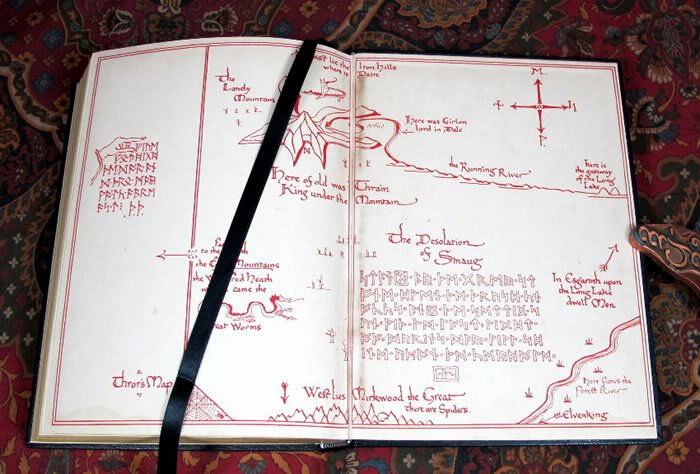 Very minor foxing to the blank pages at the beginning, a few scattered smudges thru the book, and it shows a couple of minor stains to the endpapers, mostly to the gutter of the rear endpaper 'Thror's Map'. 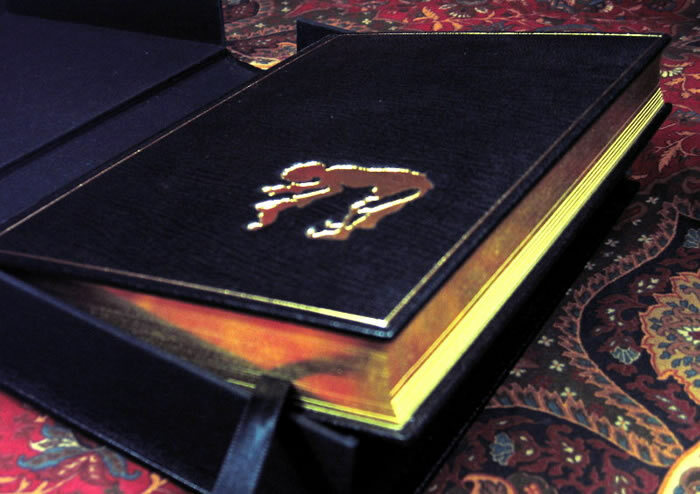 This copy has been elegantly rebound in full black morocco leather with raised bands to the spine, and features a large gilt stamped Bowing Hobbit to the front boards. 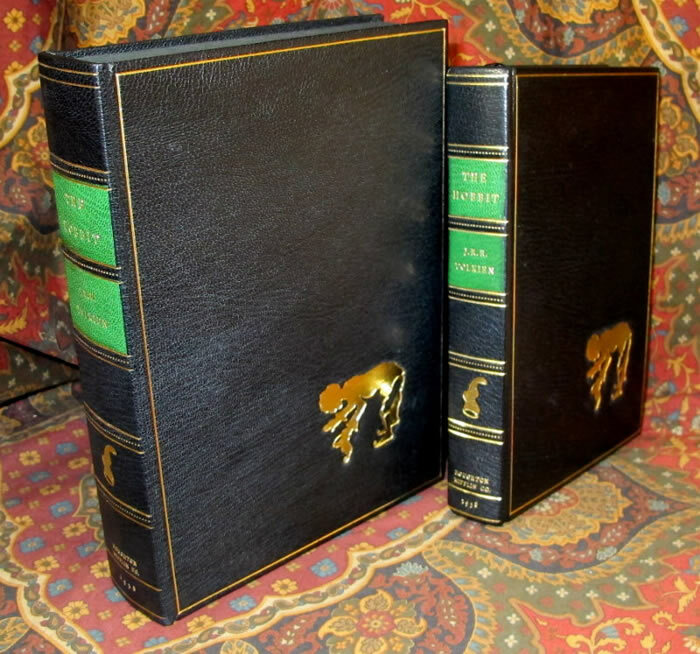 The spine features green morocco leather insets for Title and Author, compartments for the Dwarve's Hat, Publisher and date gilt stamped to the bottom of the spine. 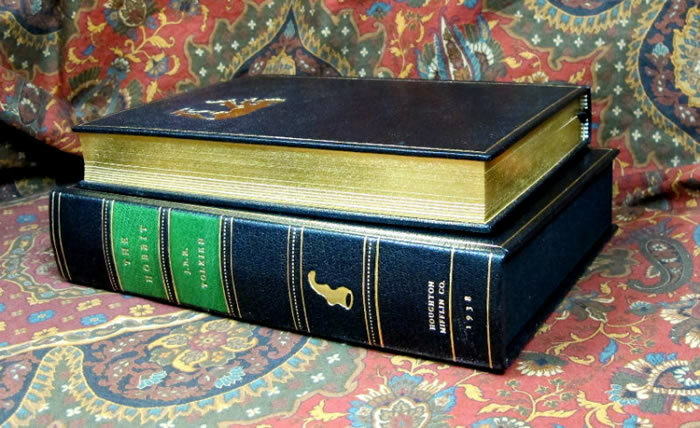 A matching full leather clamshell case, has the large Bowing Hobbit to the front boards of the case, with a single gilt rule around the edges, and to divide the compartments to the spine. 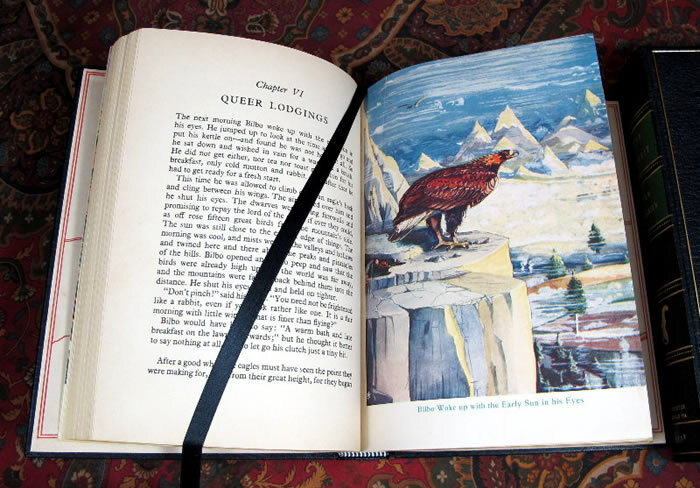 The textblock has been trimmed and gilded to all edges, with a silk ribbon marker sewn in. 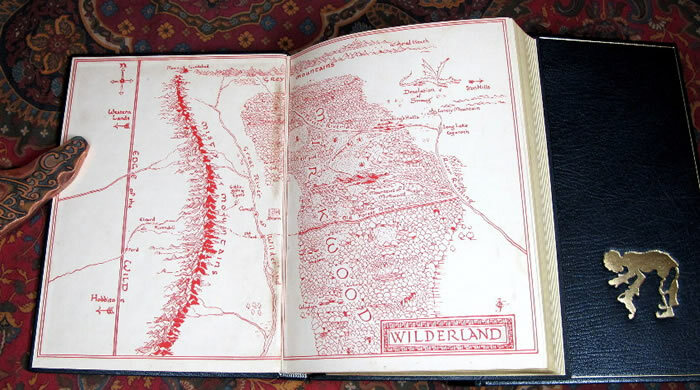 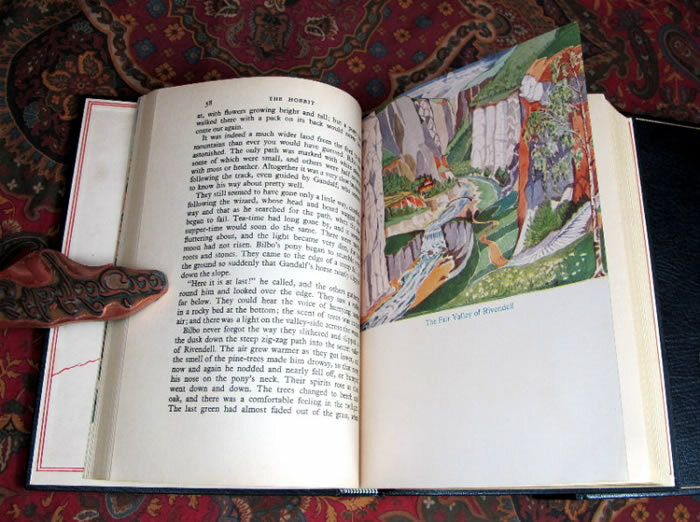 A beautifully crafted binding, inspired by Tolkien's own original artwork, for this classic of fantasy literature.